The best tactical flashlights on the market are smaller, brighter and rechargeable, meaning you no longer have to worry about buying new batteries. If you are a police officer, fireman, survivalist, hunter, hiker, camper or adventure junkie, you know how important having a good tactical flashlight is. It is something you don't know you need until it is too late. 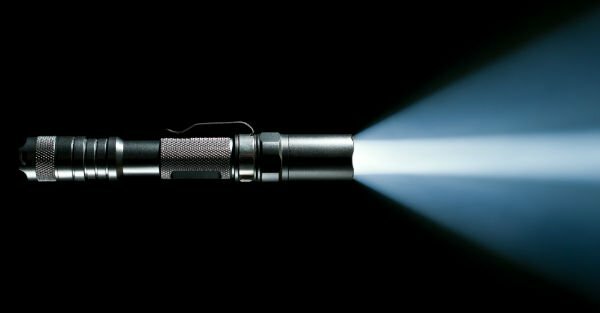 From self-defense to looking for lost keys, there are many situations where tactical flashlights prove an invaluable tool. When it comes to choosing a tactical flashlight, the question is not the importance or value of a good model. It is how to know that a specific flashlight is right for you. With that in mind, we have compiled a list of the 10 best tactical flashlights and put together a comprehensive guide to aid your search. The J5 Tactical Hyper V Tactical Flashlight boasts durable construction, high light output, decent water resistance and multiple modes of operation. It has a maximum light output of 400 lumens and a long focused light beam range of 800 feet. There are three modes of operation i.e. low, high and strobe light for signaling and disorienting potential attackers or animals. The flashlight is powered by three AAA batteries and allows for three hours of use at maximum beam. You can use the low-intensity mode, which is strong enough to light up the surroundings, to preserve the batteries. This flashlight is very compact with a 1” wide body and 1.25” wide head. The length varies depending on whether the head is pulled or not and at 3.7 ounces, this tool is incredibly lightweight. The aluminum body is strong and durable while the O-ring seal helps with waterproofing. The NiteCore P20 is a compact tactical flashlight that is designed for law enforcement, military and home defense in mind. It uses a premium CREE XM-L2 (T6) LED light source and boasts a peak intensity of 11,00cd. It has a throw distance of 230 yards. There are three different modes to choose from including tactical mode, law enforcement mode and general mode. All of these modes are easily customizable with different output levels to suit the current circumstances. The tail cap button strobe button allows for single hand operation. This means quicker access to the strobe function and different output levels. NiteCore combines Precision Digital Optics Technology with Crystal Coating Technology to ensure extreme reflector performance. The highly efficient circuit allows for up to 26 hours of continuous use on low setting. The PD35 TAC (Tactical Edition) is a compact size flashlight that is about5.51 inches long while remaining bright and powerful. It is fitted with CREX XP-L LED with a lifespan of 50,000 hours. It allows the flashlight to produce 1000 lumens and beam light to 656 feet. There are six different modes to choose from including high, low, mid, eco, strobe and turbo. You can power the flashlight using either a single 186to rechargeable Li-ion battery or two CR123A 3 volts Lithium batteries. There is an output regulated digitally that allows maintenance of constant brightness as well as a reverse polarity protection for protection against the improper installation of the battery. The flashlight is made from highly durable aircraft grade aluminum and has a type-3 hard anodized anti-abrasive finish for longevity. It has a tactical side switch design with one button operation and momentary-on activation of 1000 lumens. The output levels can be easily customized to a turbo, strobe and low modes. The PeakPlus is one of the brightest and waterproof LED tactical flashlights on the market. It can withstand most environments thanks to a sturdy body made from anti-abrasive, water resistant and durable aluminum alloy. It comes with a CREE XML T6 LED lens and chip with the output capacity of 1000 lumens. 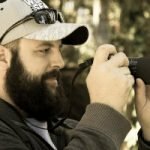 There is a useful zoom function you can use to zoom to x1, x250, x500, x1000 and x2000. You benefit from multiple brightness settings to suit different visibility requirements. This flashlight has an estimated lifespan of 100,000 hours, an output of 10w and a range of 200-500 meters. The soft touch tail cap switch makes it easy to switch between different lighting modes. The estimated charge time is around 6 hours and you get an AAA battery sleeve, lithium-ion battery charger, as well as a lithium-ion battery. The Wsky LED Tactical Flashlight comes in a set of two and is powerful, bright and waterproof. One of the flashlights in the pack is significantly larger, but both are still compact enough to fit in a glove compartment, purse etc. The zoom function comes handy when you need to adjust the focus range. The smaller flashlight is 5.62 inches long while the larger one is 6.22” when zoomed out. Both flashlights are powered by three AAA batteries and offer five different lighting modes i.e. low, medium, high, strobe and SOS. Considering their compact size, the 1600 lumens output is pretty incredible. The flashlights have an IP65 waterproof rating and are sturdily made of aluminum and rubber. We love the front strike bezel as they can be used to break windows. Also included are hand straps. The Odepro TM30 is an ultra-bright flashlight that utilizes CREE XM-L2 LEDs that sweeps bright light within a range of 630 feet. The LEDs have a long lifespan of 50,000 hours, a huge benefit considering the price. This flashlight features a dual tactical tail switch and a side button that allows quick access to the strobe mode and momentary-on function. It offers five light modes including low, medium, high, strobe and SOS for signaling during emergencies. The beveled edge works equally well for breaking glass in a car or when you need to escape as well as for self-defense to blind a foe. The Odepro TM60 is built with anti-abrasive aluminum and boasts a waterproof rating of IP66. This makes it a top choice for camping, military, home use, hunting and other outdoor activities. You get everything you need including a rechargeable battery, 2 waterproof rings, a lanyard, and charger. The Orcatorch T20 is specially designed for law enforcement. It offers four light modes and boasts a maximum output of 980 lumens at the highest setting. You get one function that can be used for sending SOS alerts and an extra strobe function for emergencies. We love the fact that the flashlight has a long battery life of four hours on the highest setting and 275 hours on low setting. Depending on the light setting, the Orcatorch T20 will allow the user to see up to 1000 feet in front of them. The aluminum casing is durable and impact resistant, making it a top choice for different outdoor activities. It has a strike bezel on both sides for self-defense and the flashlight can be mounted on tactical weapons. Finally, the whole thing is waterproof for use in any weather conditions. The Klarus XT11GT 2000 is a high-intensity tactical flashlight that will temporarily blind anyone who tries to attack you. It comes with a rechargeable battery and boasts a combination of highly useful functions. The high 2000 lumens output is all thanks to the CREE XHP35 HDE4 LED. It offers versatile functions including Instant Turbo, Memorized Function ability, Side Switch Lock function etc. There are four brightness settings to choose from i.e. high (400 lumens), medium (100 lumens), low (10 lumens), turbo (2000 lumens). You won’t need more than 100 lumens for most applications but the turbo mode may come handy when blinding a foe. In case of emergencies, this flashlight has two flashing modes i.e. strobe mode (2000 lumens) and SOS mode (100 lumens). The Anker Ultra-Bright LC130 Tactical Flashlight boasts 1300 lumens of output from three CREE LEDs. These LEDs have an extended lifespan of 50,000 hours, which is longer than what you get with other flashlights. It can sweep light beyond the length of two football fields and reach more than 1200 feet. There are five adjustable light settings including Strobe and SOS for signaling during emergencies. The battery offers up to 6 hours of powerful and non-diminishing brightness. This flashlight is tough and reliable with a waterproof rating of IP67 and durable aluminum body. It can withstand water ingress when submerged in 1m of water for up to thirty minutes. Its smart design includes an anti-slip coating that holds fast in extreme conditions. In addition to the flashlight, you get a micro USB cable, rechargeable battery, and wrist strap. Available in three colors, the Streamline 88052 ProTac HL is a USB rechargeable flashlight that boasts an output of 850 lumens. It uses dual LED solid state bulbs with a lifetime of 100,000 hours. At 3.25 inches long, this flashlight is pretty compact and easy to carry around. It is quite versatile and can be charged from multiple sources. Additionally, you can use disposable cells if you don't have access to a charging source. The tail switch allows for momentary-on operation while the pocket clip provides added convenience. There are three modes to choose from depending on the visibility requirements. The 6000 series machined aircraft aluminum body ensures longevity. The performance of a tactical flashlight is often determined by overall light output, brightness and battery life. That said, the light output is a critical factor to consider when purchasing your flashlight. 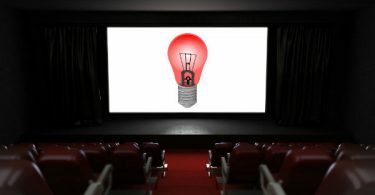 While the ultimate goal is to produce light, you should also look for the additional benefit of being able to disorient any threats that may come along. Aim for a model with a minim output of 200 lumens. Keep in mind that some flashlights offer multiple output modes. Whether you operate in wet or desert environments, we always recommend getting a flashlight that incorporates some degree of water resistance. It will offer peace of mind for continued operation regardless of the conditions you may find yourself in. When it comes to tactical flashlights, smaller is always best. A compact frame provides maximum portability, ease of use and concealment. You want something that is small enough to fit in a grab bag, pockets or glove compartment and this means aiming for 4-7 inch long models. Many flashlights are built entirely around an LED, which emits powerful and reliable light. Incandescent flashlights are also available, but LED is your best bet if you unbeatable reliability and longevity. It delivers great performance and efficiency while maintaining the integrity of the flashlight. The ability to change the mode of operation is one of the factors that set tactical flashlights apart from ordinary ones. This is usually provided as an ability to change the intensity of light output by choosing from a number of pre-programmed output levels, which may range from economical and low-level setting to brighter more powerful output. Some flashlights also include intermittent light programs like strobe and SOS for signaling during emergencies. More advanced models offer modes that utilize RGB LEDs to provide colored lights for blood tracing, tracking and night reading. High-performance flashlights feature a tactical switch that allows you to turn the light on and off with one hand. It is located at the base of the flashlight itself as a switch or button on the tail cap. This configuration makes it easy to keep the light pointed down range. When cycling through different modes.